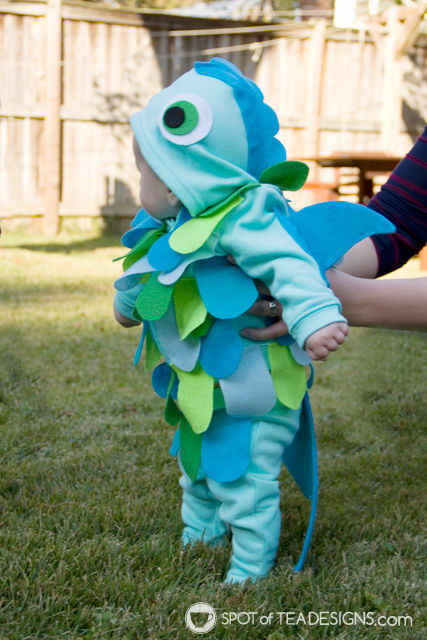 If you can’t find the perfect fish costume for your little guppy consider making your own! 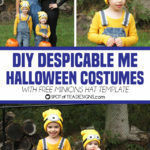 Using a sweatshirt and sweatpants for the base, you can attach different felt shapes to create the most adorable and affordable little fish costume this Halloween! 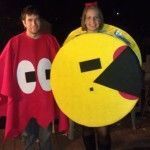 Long time readers know that I have an awesome bestie, Allie, who, like myself, loves to make handmade costumes. 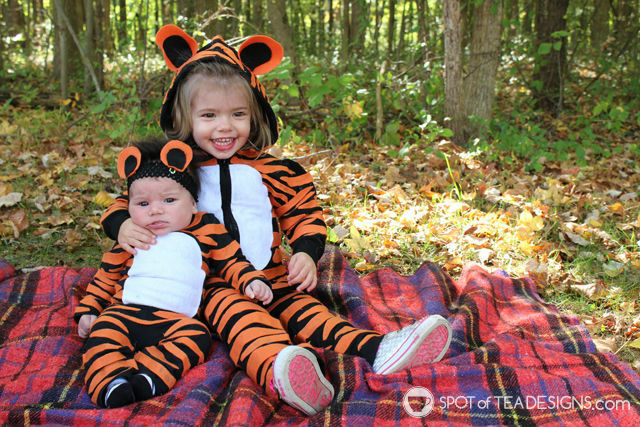 Before kids we made them for ourselves but now that our little ones are here, we’re whipping Halloween costumes for the kids! 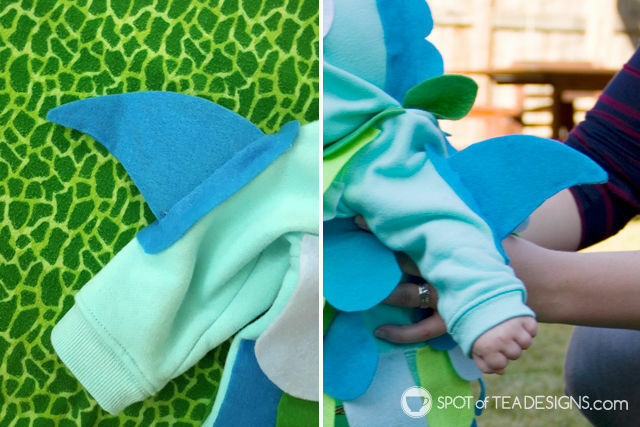 Last year she turned a set of sweatpants into an adorable fish costume for her then 6 month old and here’s how she did it! HOODIE: First cut the head find shape as shown from a piece of blue felt. 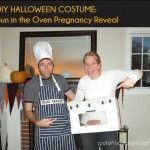 Cut out a long oval shape with a slit in the center. Insert the head find shape through the slit and use hot glue to secure underneath. Hot glue this shape to the hood of the sweatshirt along the seam. Cut 2 large white circles, 2 medium green circles and 2 small black circles. Layer and glue onto the hood on each side as the eyes. 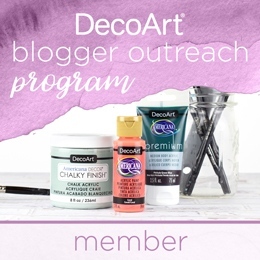 Create a template for the scales and cut out several of each color. These were about 2.5 inches wide. Start at the bottom of the sweatshirt and apply glue on the top edge of the scale to attach. Complete the row with more scales. Repeat additional rows from the bottom up, staggering the rows and staggering the colors. 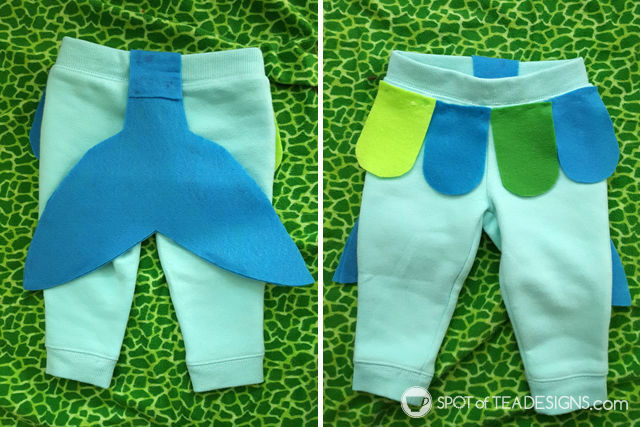 PANTS: To create the tail, fold a piece of felt in half and free hand half of a tail shape. Cut out this shape to see a symmetrical tail shape. 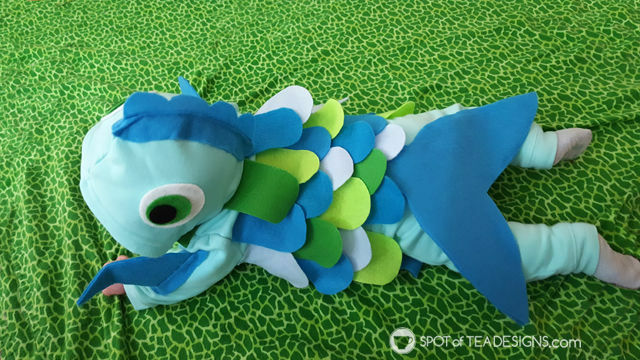 Trace this tail shape onto a piece of scrap cardboard and onto another piece of blue felt. Once they are all cut out, layer the cardboard in between the two felt pieces and use hot glue to secure. Attach the top of this tail to the back waistband of the pants. Add a few scales to the front of the pants. 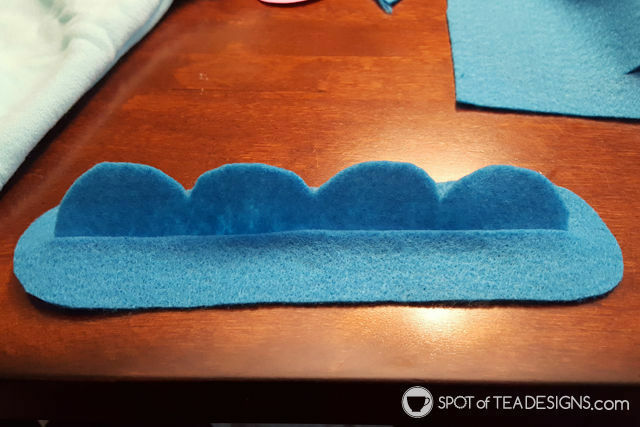 FINS ON SLEEVES: Cut out a curved triangle shape out of blue felt. Repeat on a second piece of blue and a piece of cardboard. Sandwich these pieces together to make them stiffer and use hot glue to secure. 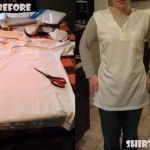 To add to the sweatshirt, cut out an oval shape from the glue felt and make a long slit in the center, leaving about an inch on each side of the slit. Insert the fin into the slit and use hot glue to secure underneath. 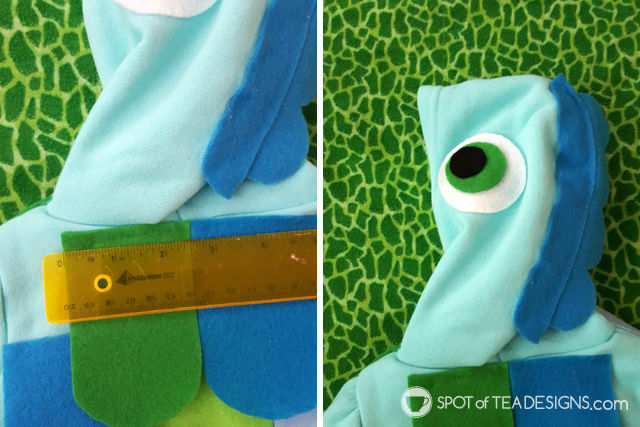 Glue the entire oval shape onto the arm of the sweatshirt for a vertical fin! Repeat on the other sleeve. 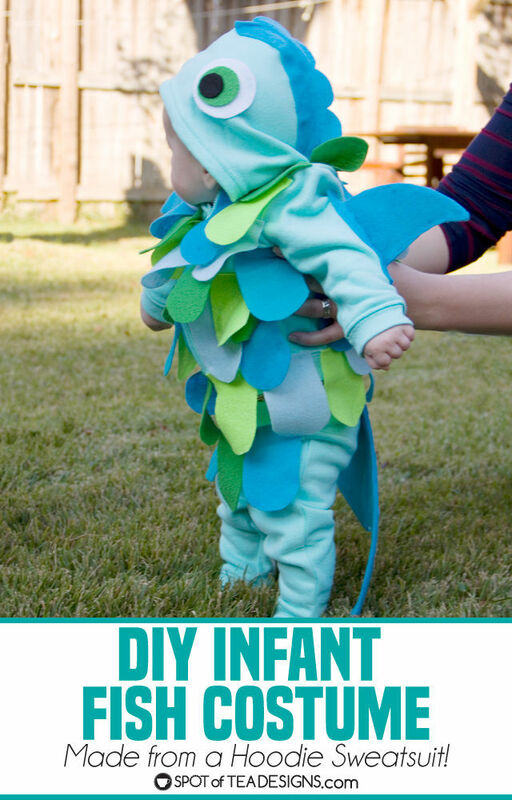 Once complete, your little guppy will be ready for his first Halloween in his adorable diy fish costume! 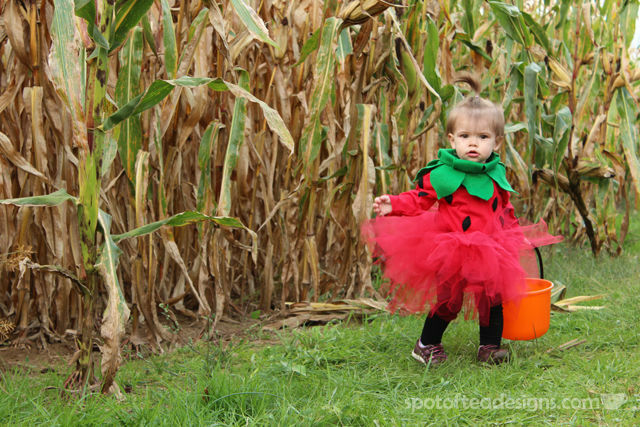 Oh my – I absolutely love the fish and strawberry costume. 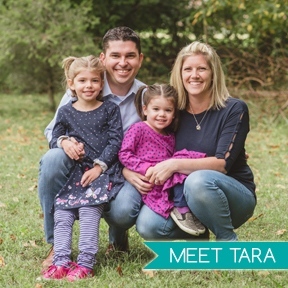 Can’t wait to make something like this one day for my family. Where did you get the sweats?! 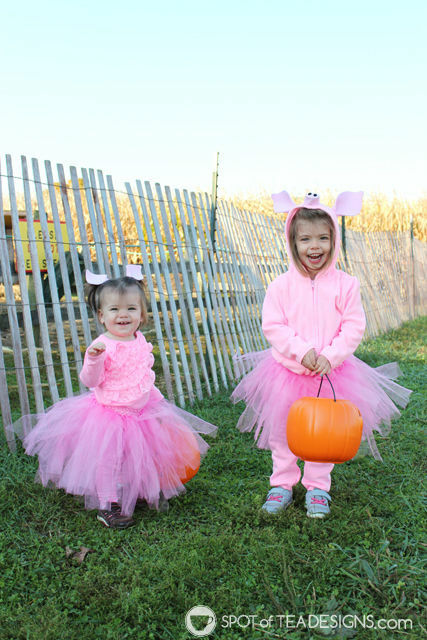 They’re so perfect! My bestie who made that said she found them at the girls section at Kohls!